This going to be a short update since today is my special day. As mentioned by the title, I think you can guess what I'm going to say here, right now. Yes, today is my 5th blog Anniversary. I have been blogging since 26th May 2011. I still remember my very first entry ever is about. But, sorry I have deleted that entry. Don't worry, I will share with you guys what I mentioned on that entry. So basically I just post an entry titled "Finally!" and the content was like "Finally, I have a blog!" That's it. Pretty short and simple, right? Haha. But, the next posts/entries were all about my life. I shared almost about everything back then. I shared how was my day on that day. I shared my feelings. I shared where I go, what did I do and everything. But, few years after that, I started to share about my student life (secondary school plus my early diploma stories) and a bit about tips, DIYs, petua, novels that I've read. And here I am now. Sharing with you guys about my personal, lifestyle and a few beauty stories. Being a blogger is not as easy as you think. It is quite challenging too (at least for me). You have to sacrifice your time and energy just to update an entry. But I'm still okay with it and try not complaining about anything cause this is what I love and wanted to be which is being a blogger? 5 years of blogging, I did experience many things. And the best thing is having a collaboration with Zalora Malaysia. Other than that, winning some giveaways held by other bloggers. I still can't believe it until now. And I'm really really happy and so thankful thinking about it. The relationship that I got with other bloggers is so amazing. Talking and sharing the stories that we know together. Especially, Blogger's Family. Hehe. I need to mention that! Thank you so much for those who spent their time reading my pointless or uninteresting entries from me since 2011 until now. I really do appreciate it so much. Thanks for everything. 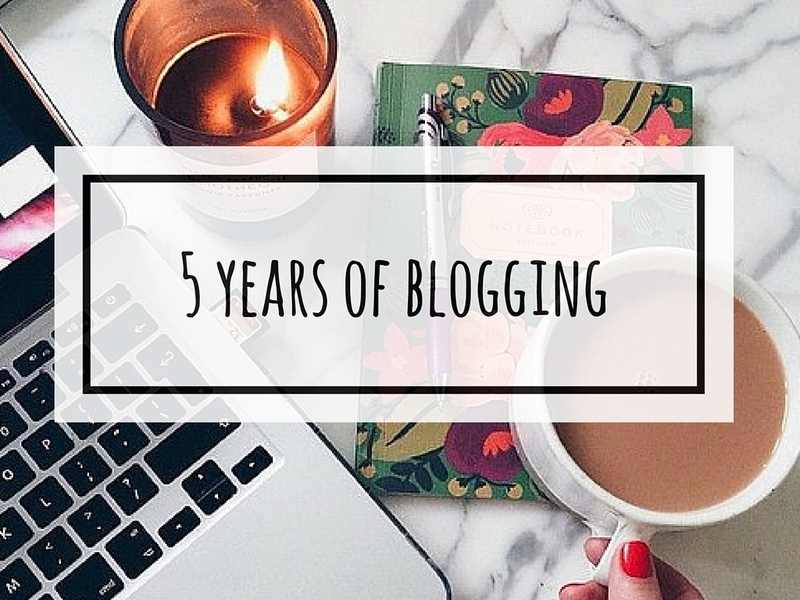 Happy 5th Years Old, dear blog! alhamdulillah... dari berblogging pun datang rezeki macam2 kan. teruskan menulis! wahhh..dah 5 tahun ya blogging...congrats ya..
"I have been blogging since 26th May 2016"